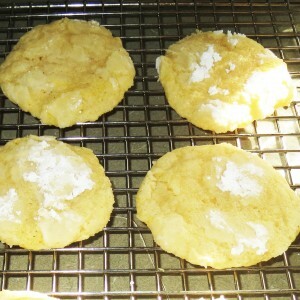 We made these gluten free lemon cookies for a neighborhood party this summer and they were a big hit! They are soft and chewy and just plain delicious! We used this gluten free flour. 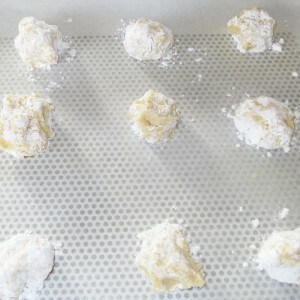 Spray baking sheets with non-stick spray. 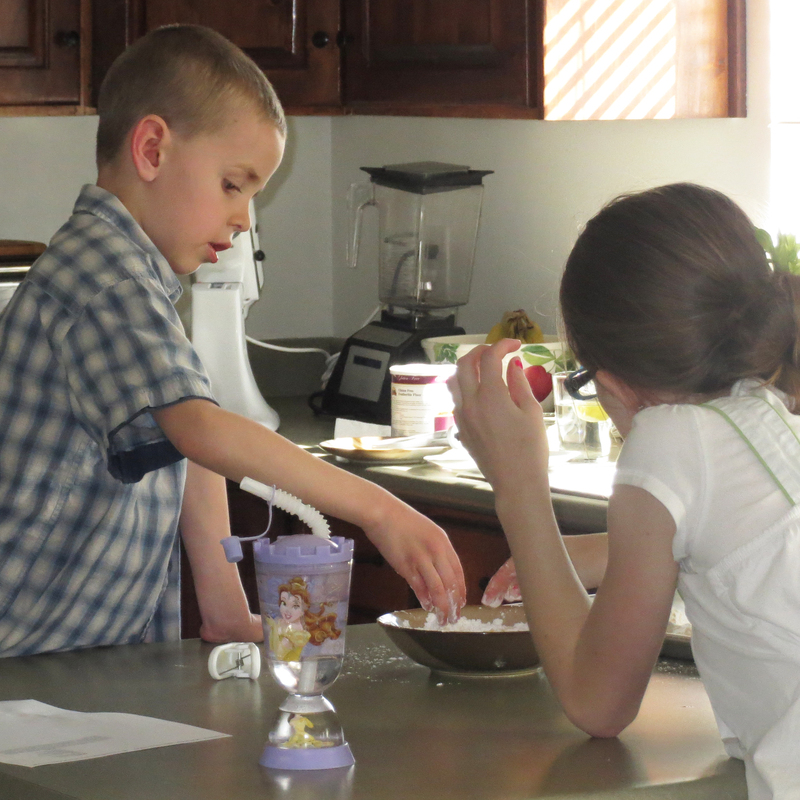 In a mixer, cream butter (Earth Balance is dairy free), sugar, and vanilla until well combined. Add in the egg, lemon zest, and lemon juice. 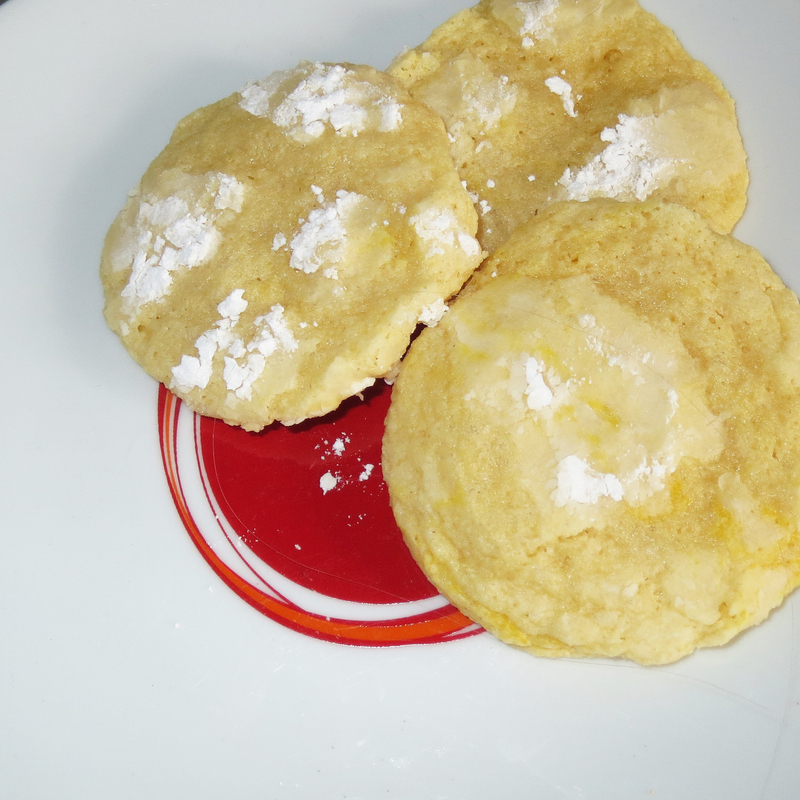 Mix in the dry ingredients (excpet the powdered sugar). Pour powdered sugar into a bowl. 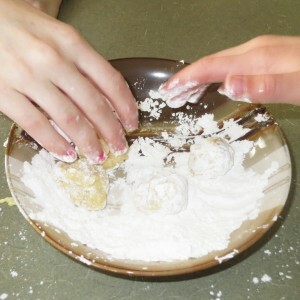 Place a heaping teaspoon of dough into a ball and roll in the powdered sugar. 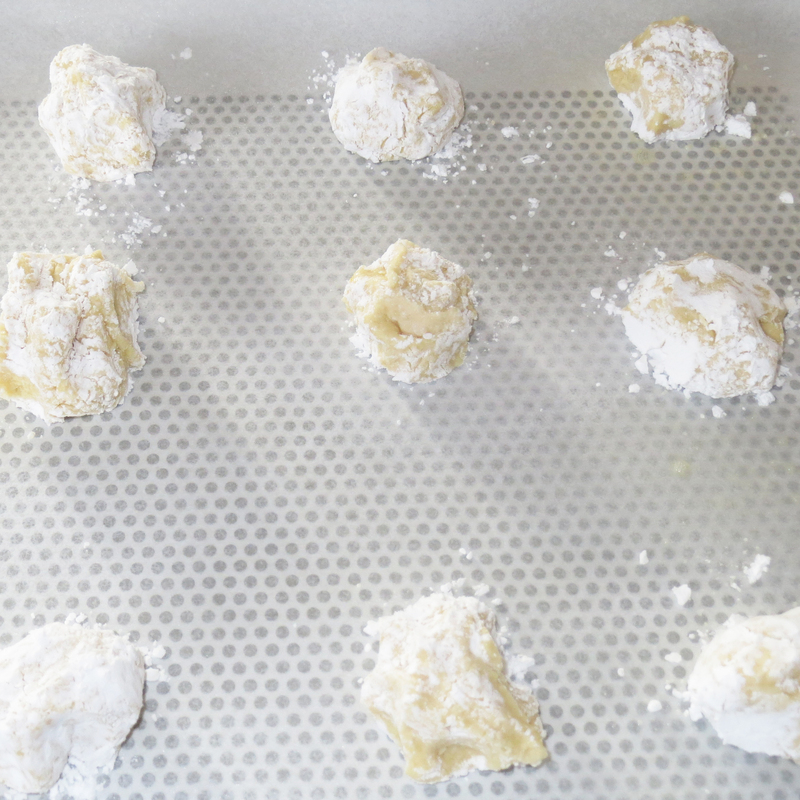 Place balls on a cookie sheet and bake for about 10 minutes until cookies are cracked on top. Remove cookies from oven and cool 2-3 minutes before transferring to a cooling rack. I hope you enjoy this recipe. If you have any questions, please post a comment and I will answer it to the best of my ability!